Turn FaceTime off. Exit Settings. No longer have your iPhone? Follow the steps below to deregister your phone number. 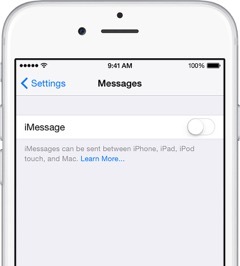 Enter the phone number you want to deregister from iMessage and we’ll send you a confirmation code. This text message is free. Enter the 6-digit code we sent to you to confirm deregistration. Didn’t receive a code?